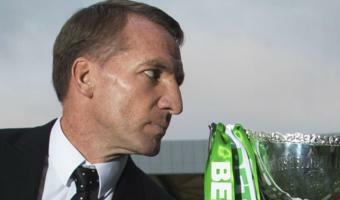 League Cup final: Can Aberdeen deny Celtic a magnificent seventh trophy? By Tom English BBC Scotland 1 Dec From the section Scottish League Cup Share this with Digg Facebook Google LinkedIn Reddit StumbleUpon Twitter Copy this link http://www.bbc.co.uk/sport/football/46406153 Read more about sharing. Scottish League Cup final: Celtic v AberdeenVenue: Hampden Park, Glasgow Date: Sunday, 2 December Kick-off: 15:00 GMTCoverage: Listen on BBC Radio Scotland; live text commentary on the BBC Sport websiteHollywood's Golden Age has been summoned-up in the previews to Sunday's League Cup final. 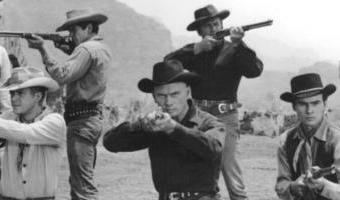 If Celtic beat Aberdeen at Hampden, it will be their seventh straight domestic title under Brendan Rodgers - or the Magnificent Seven as the chat goes.For Yul Brynner, read Scott Brown. 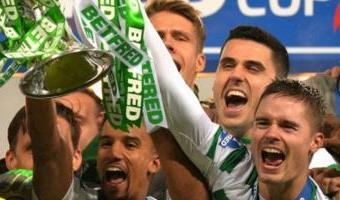 For Steve McQueen, read James Forrest.Never mind that by the end of the great adventure Eli Wallach's Mexican banditos had taken all the joy out of the seven by blasting four of them … [Read more...] about League Cup final: Can Aberdeen deny Celtic a magnificent seventh trophy?